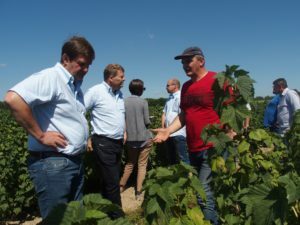 The IBA Executive (President Anthony Snell, vice-president Jens Holme Pedersen and General Manager Stefanie Sharma) visited the world’s biggest blackcurrant producer: Poland. 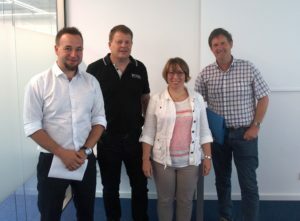 Their 3-days trip was very nicely organized by Piotr Baryla, the Polish vice-president of the IBA and president of the KSPCP. 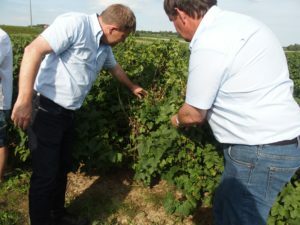 It allowed a deep insight into the situation for blackcurrants in Poland. A short, but very constructive and busy trip. 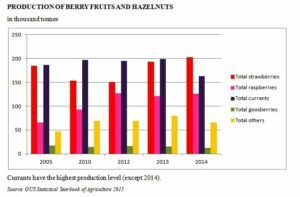 When Anthony Snell took over the presidency of the IBA in 2016, he clearly expressed his wish for the IBA to reconcile supply with demand on the global blackcurrant market. As Poland is currently producing more than half of the world’s supply, he felt the need to learn more about the Polish production. 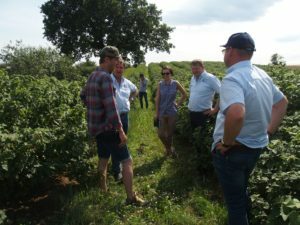 The tight 3 days schedule included visits of farms, collecting points and processors. Very interesting discussions could take place. 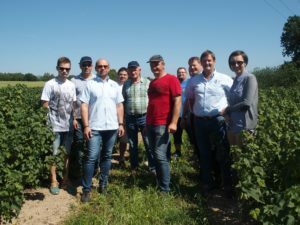 Thanks to the support of the KSPCP (the Polish blackcurrant association), SVZ, Weremczuk and Bayer, the cost of the trip could be kept low for the limited IBA funding. 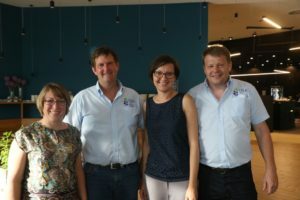 The IBA Exec members and Dr Dorota Jarret from the James Hutton Institute in Dundee met small, medium and big growers all around Lublin. 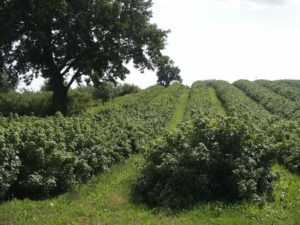 This is the main blackcurrant growing area in Poland. 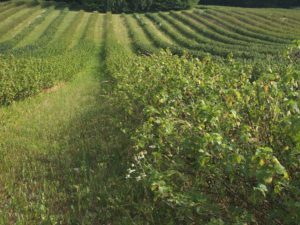 When driving through the countryside, you can see blackcurrant fields all around. Sometimes just a few rows, evidently belonging to a small farm nearby. Sometimes huge fields of several hectares. Of course, there are not only blackcurrants. Lublin is an area where you can find all kinds of fruits: cherries, raspberries, red currants, strawberries, apples, gooseberries, blackberries – there is no end to the list. Not to forget the vegetables and any other farming product. 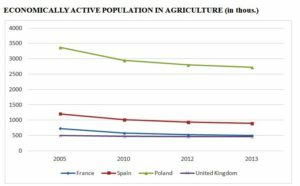 Compared to other European countries, the population economically active in agriculture in Poland is very high.This is already the starting point of the Polish specificity among the other blackcurrant growing countries: Poland’s population of roughly 38.5 million inhabitants is still very attached to agriculture. Almost 40% live in rural areas, and 6% of the total population is employed in agriculture (2.3 million people). But this number doesn’t take into account all the people who have their main occupation – and who have some fields and practice agriculture in their “leisure” time. 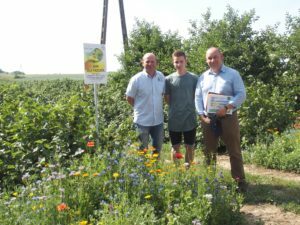 In 2014, according to the GUS (Central Statistical Office of Poland), about 52 percent of the private farms were smaller than five hectares. 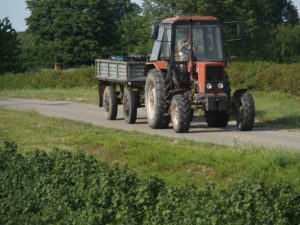 Of the remaining farms, 22 percent were between five and ten hectares and 11 percent were between ten and fifteen hectares. Only 14 percent of private farms were larger than fifteen hectares. It is interesting to note that this distribution has only slightly changed since 1987. 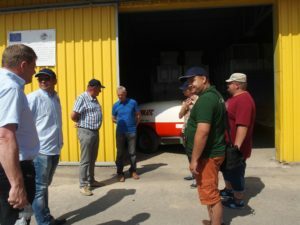 Our visits led us only on private farms, some of them belonging to members of the KSPCP (the Polish blackcurrant association), some to non members. Actually, it is important to remind that Poland produces around 130.000 tonnes of blackcurrants, for a global blackcurrant market of an estimated volume of 600.000 tonnes annually (according to the ierigz – The Institute of Agricultural and Food Economics). Russia is the global leader in terms of blackcurrant production volume, however it mainly produces for its own market. 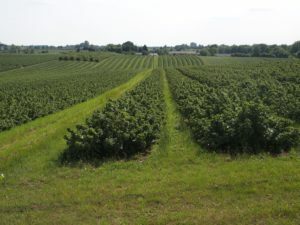 Therefore, the production of blackcurrants in Poland is currently the highest for the global market. Keeping these figures in mind, the producers who are members of the KSPCP are only few: around 50. And they do not even produce 10% of all the blackcurrants in Poland. 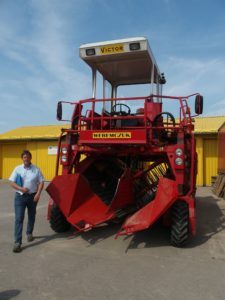 As mentioned above, half of all farms are smaller than 5 hectares – but they account for a huge amount of the agricultural production in Poland. 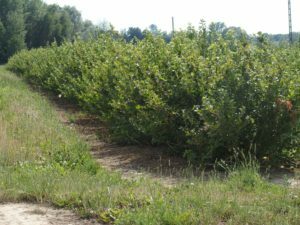 The production of more than 70% of all blackcurrants in Poland is therefore mostly uncontrolled and impossible to cover statistically. The situation for the numerous small growers is, of course, totally different from big growers, like the Blockis. 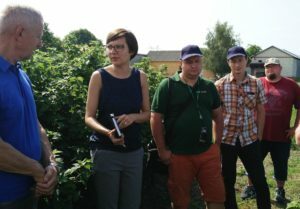 Those who have attended the 2014 conference in Poland know them well, and have even visited their farm: they work together with seven other big growers for selling their currants. And they farm a total of 800 hectares of blackcurrants. Of course, they try to sell their fruits under contracts, and are able to produce certificates. Although this is a proof of quality for their production, these certifications are now considered standard on the global blackcurrant market. But in comparison with products from the small farmers, they still justify higher prices. Traceability is more and more important. 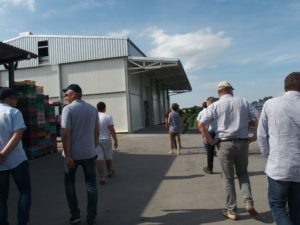 Our visit to one of the 4 major processing plants in Poland belonging to Döhler confirmed this: the 32 professional juice concentrate processors in Poland look for traceability of their raw material. They can get it from the members of the KSPCP and a few independent big growers. But the requirements of course depend on the requirements of their own customers – who mainly look for good prices. The small growers bring their currants to collecting points. These collecting points belong to private farms, the owners of the farms are in charge of their administration. As far as the infrastructure is concerned, the European Union has financed a huge part of it over the past fifteen years. 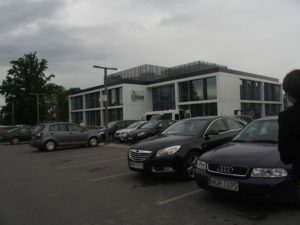 We could therefore see very nice facilities, very modern and perfectly equipped. Some of them directly process the fruits in freezing tunnels for IQF. One of the collection points we have visited collects between 80 and 100 tonnes of blackcurrants per day during the harvest – which amounts to a total of over 2.000 tonnes over the whole harvesting period! 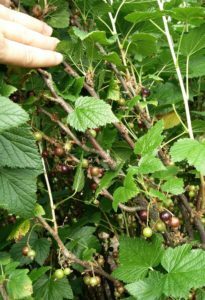 These blackcurrants come from around 200 growers. 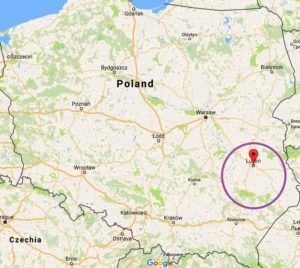 Now, there is of course not just one collecting point in whole Poland – but one or two per fruit growing village. 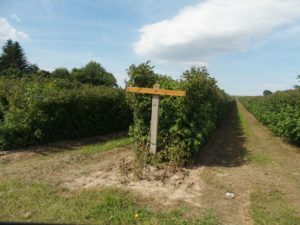 In total, there may be between 3.000 and 4.000 collecting points for blackcurrants in whole Poland, of different sizes. 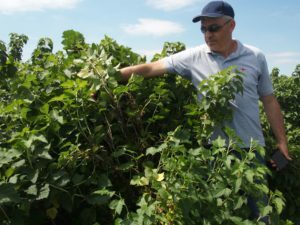 The KSPCP estimates the total number of blackcurrant growers in Poland at 15.000. Given these figures, everybody can easily understand how difficult it is to give a clear and complete view of the situation. 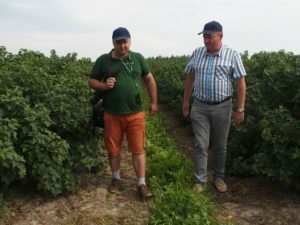 If there are still some ignorant people who think that farmers in Poland pick their blackcurrants by hands, they will be surprised. 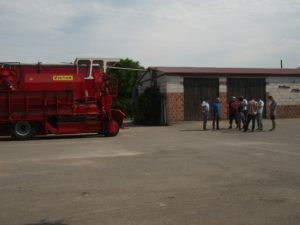 Most of the blackcurrant growers in Poland, even those who have less than 5 ha, have their harvester. 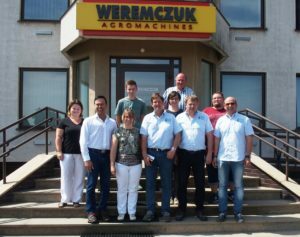 Weremczuk, one of the main manufacturers of harvesting machines, has its headquarter not far from Lublin. 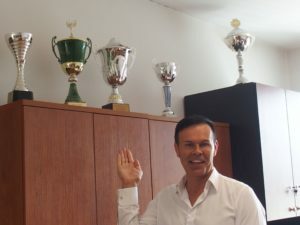 We therefore had a short visit to their production unit. 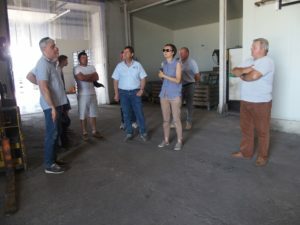 In fact, since the origin of the company, their business changed from the manufacturing of mainly blackcurrant harvesters to harvesters for almost every fruit. 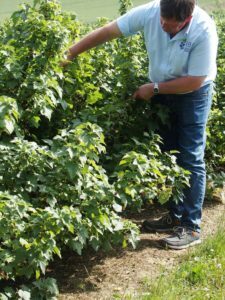 Robert Weremczuk told us that today, he can see big growers reducing their blackcurrant production. 3 days to evaluate the situation: is it enough? 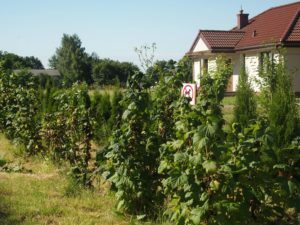 There is a long lasting tradition of growing, processing and consuming blackcurrants in Poland. Agriculture in general is still very important for a majority of the population. 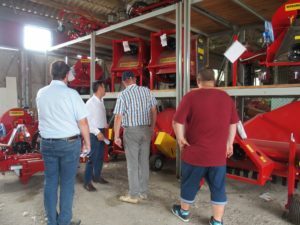 Machinery and knowledge about plant protection, variety research and growing methods are there. Many big farmers perfectly know what they do and produce fruit of very good quality. On the other hand, there are thousands of small farmers who more or less respect modern growing methods. They continue to produce a huge part of the agricultural output. 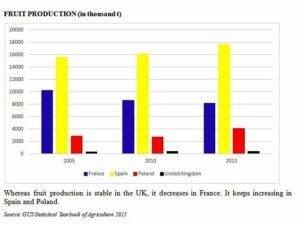 Will the production in Poland increase or decrease in the coming years? Will the processing industry put more pressure on the farmers for the quality of their fruits? At the IBA conference 2018, Anthony Snell will further speak about his thoughts on the Polish industry and its effect on world production and prices.